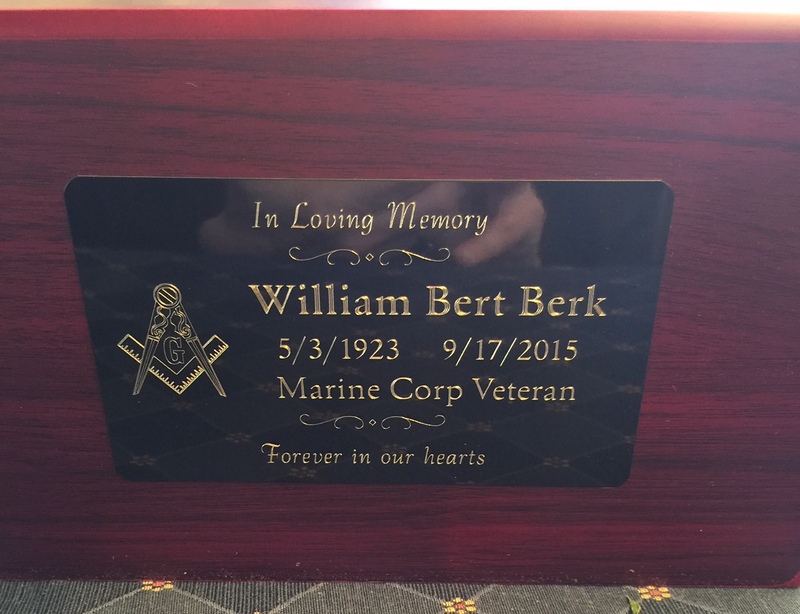 When I married Bill Berk, I joined a wonderful family. 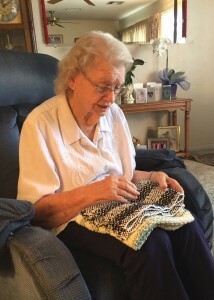 Grace and Bill Berk, Sr. treated me like a daughter and I have enjoyed their warmth, wisdom, and unconditional support in the 30 years I have known them. 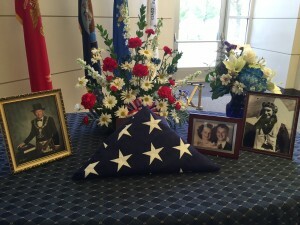 We lost Dad a few weeks ago. He had been very ill for a long time, and we saw it coming. But the loss is still very difficult. Bill Sr was a remarkable man, who served in the Marines in both WWII and the Korean wars, worked multiple jobs to support his growing family, and contributed endless hours of service to his community in the Masonic organization. He was orphaned as a child, and when he came to Las Vegas to live with extended family there were two paved roads. After he left military service he returned to the area with his wife, Grace. They bought the family home in 1953, and still live there – having added on a bit over the years as the kids came along. 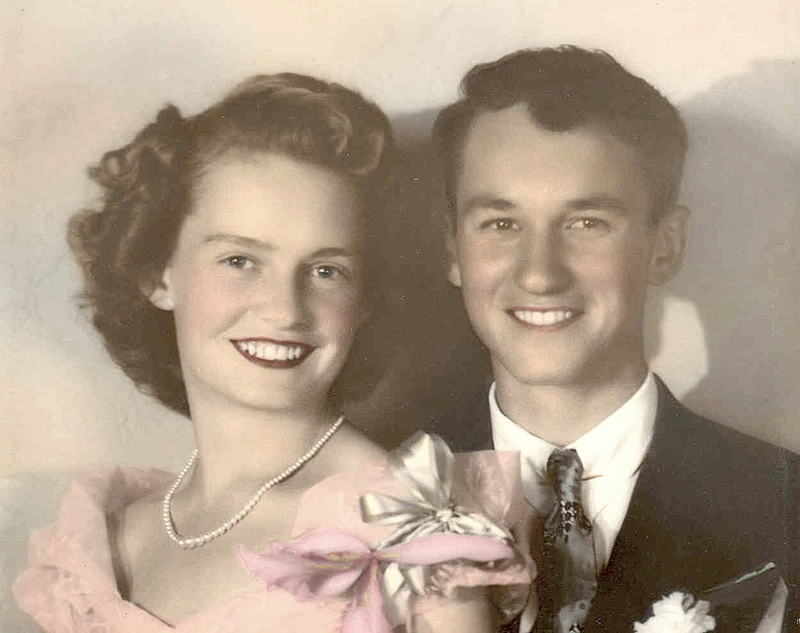 Bill and Grace were married for 66 years, and lived in that house for 62 of them. Mom is still there, and the family worries about her, as she has never lived alone. But she refuses to move (so far). 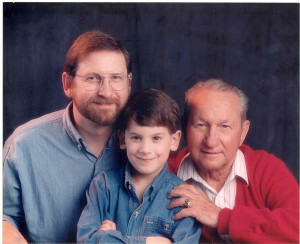 My husband is Bill Jr, and our son William was named after his father. I didn’t want a “Third”, so William has a different middle name. But, Bill was right to name him after his grandfather, who proved the best role model imaginable. 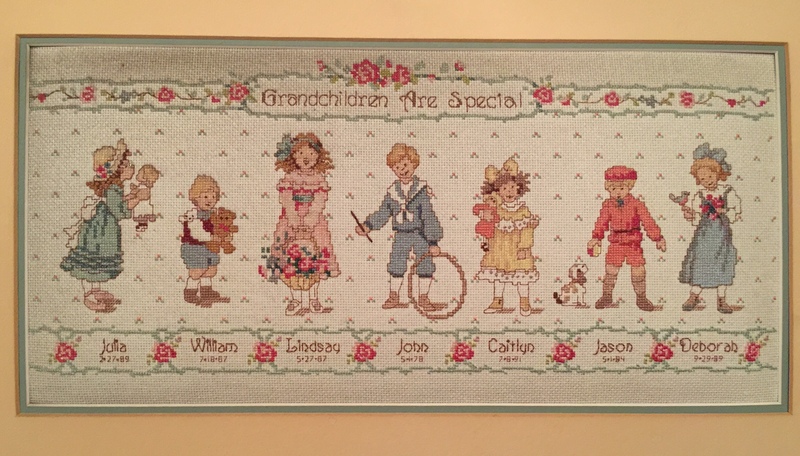 William’s middle name is Thomas, after my Grampa Gray, who was also an amazing man – although he died when William was a baby so he never had the chance to know him. 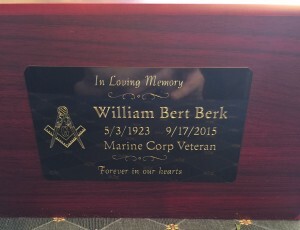 I am grateful that both of my kids have good, strong memories of Grampa Berk. The family is strong, and most of them still live in the Las Vegas area. We are all rallying around Mom, and we will be fine. But everyone is very sad right now, and that is OK. Dad was 92, and lived a good, long life. There are no regrets. Boy, we all miss him, though. I remember that when my mother died, William (then 13 years old) said, “We all have to grow up a little, now”. I feel a bit the same way about having Dad gone. He was the head of the family, and there is no replacing him. 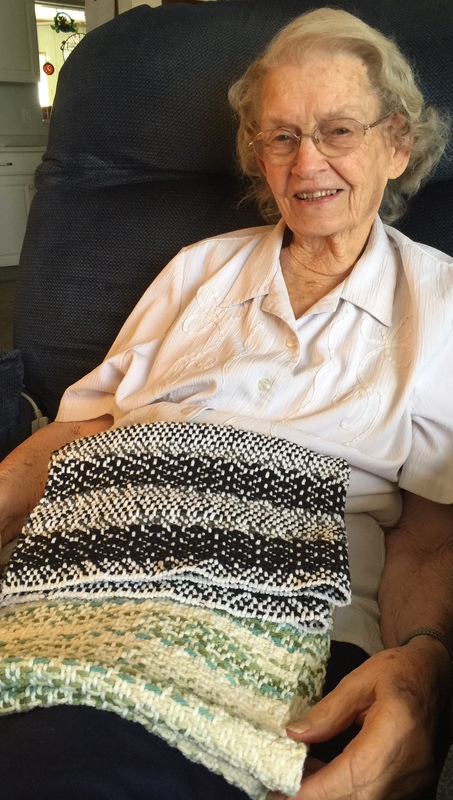 I gave Mom some of the cotton towels I wove last week. They will look good in her kitchen, and I hope they remind her of me, and how much I love her. 1994, three generations of William Berks. This is one of my favorite photos. Mom with the cotton handtowels I wove last week. 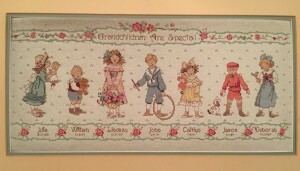 Hanging in the Berk house, a needlepoint sampler I made for Mom, with all of the grandkids and their birthdays.